Game notes: UMaine is looking for its first win over the Friars since a 3-1 triumph on Oct. 29, 2012. The Friars swept the Black Bears in the Hockey East quarterfinals a year ago (4-3, 3-2), and Wilkins scored the game-winner in each game. Edmonton Oilers draft choice Hawkey has the nation’s ninth-best GAA. The Friars, who went 24-12-4 last season and reached the NCAA tournament quarterfinals, are 3-4-2 in their past nine games. That includes a home loss and tie against Vermont last weekend. 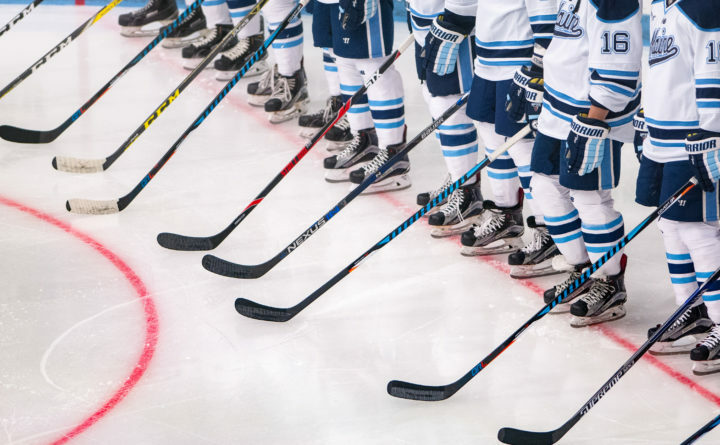 Former Old Town High School and UMaine assistant Nate Leaman has never lost to the Black Bears in his seven seasons behind the Providence bench. Dugan is fifth among the nation’s freshman in points per game (0.93). Fossier and Keeper each have three-game points streaks as Fossier has 2 & 5 and Keeper has 2 & 3. Both teams feature a high-powered top line as Wilkins centers for Bjorkqvist and Dugan, and Fossier is between Pearson and Tralmaks.